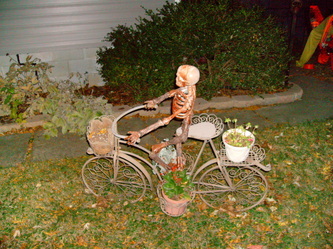 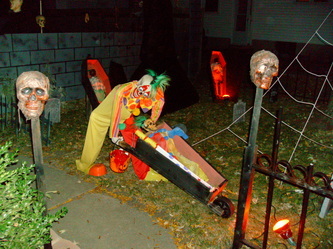 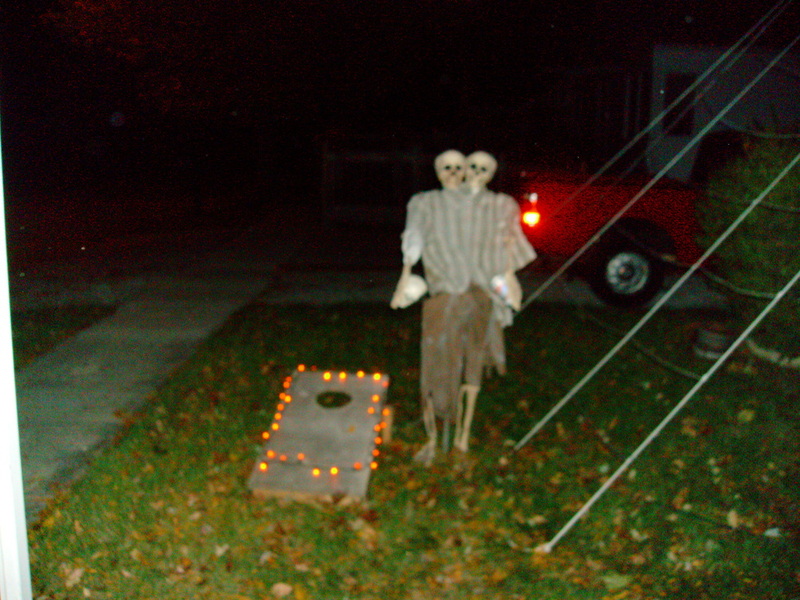 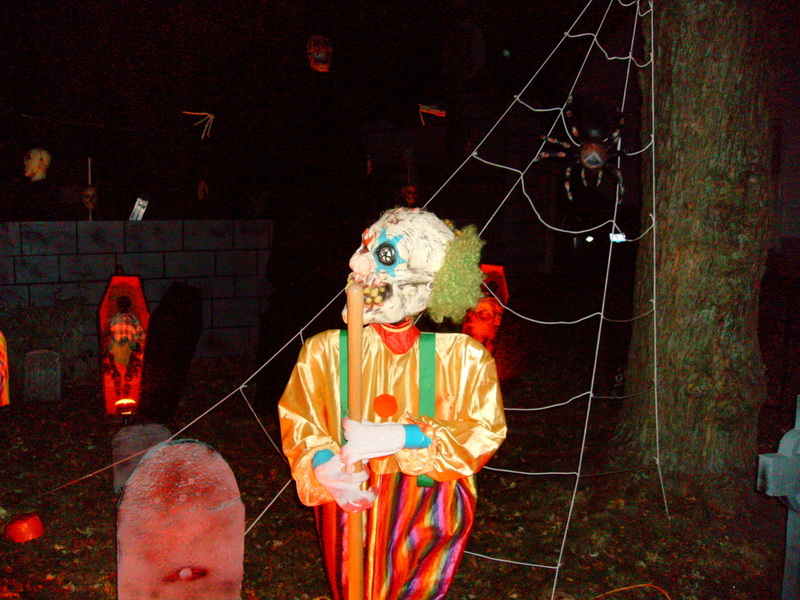 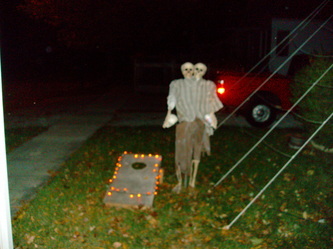 Chambers of Horror is a yard display/home haunt located in Peotone, Illinois. 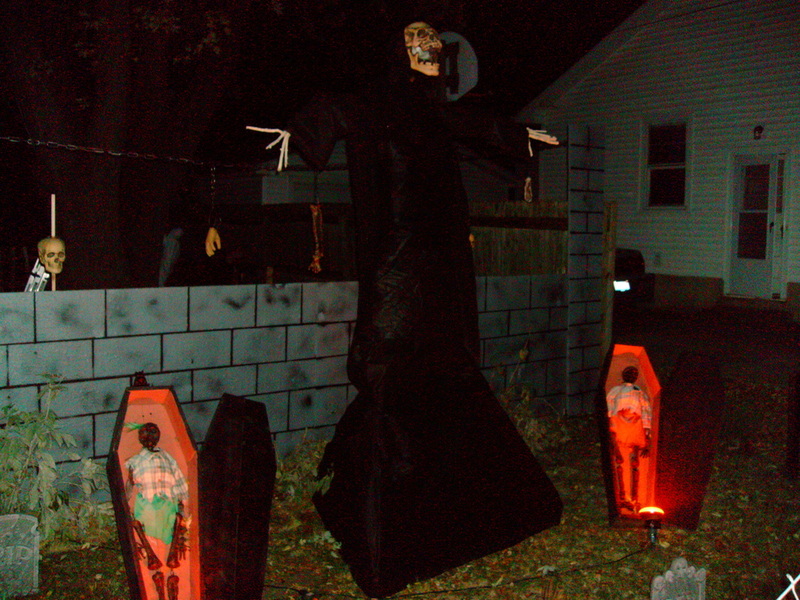 One the evening we were there, the home haunt portion in the backyard was not yet completed, nor was the internal portion on the enclosed porch, but the yard display was up and running. The centerpiece of the display was a giant deathlike figure towering over two miniature coffins. 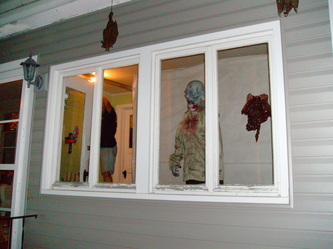 It certainly provided a very creepy atmosphere, particularly when approaching from across the street. Unique features of this display were a clown pushing another miniature clown in a coffin shaped wheelbarrow, a skeleton riding a bicycle, and some skeletons playing the beanbag game. 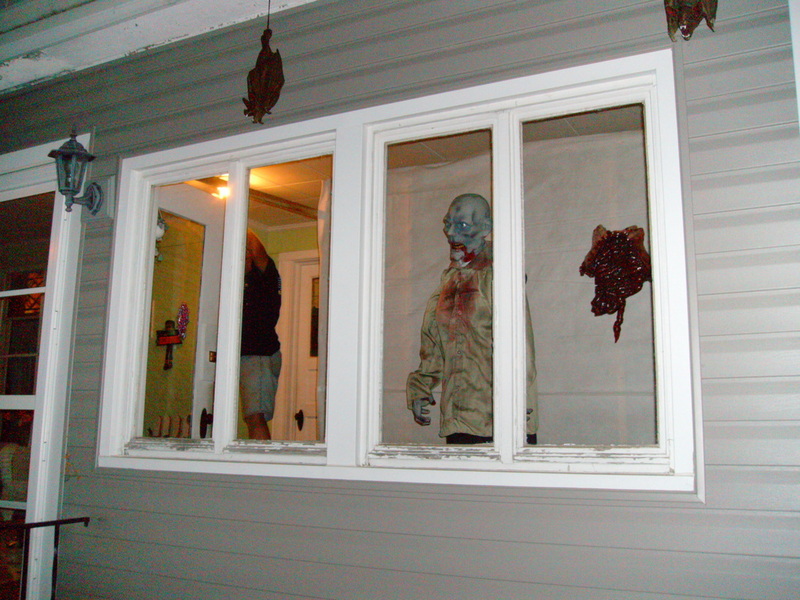 Although we were not able to see the home haunt, we were able to talk with the owner, who kindly let us take a look at his preparations on the enclosed porch, which included an animated zombie figure in the right window. 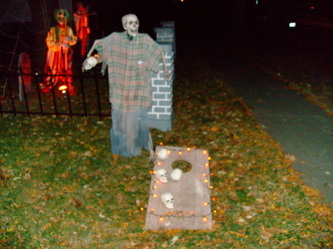 From what we saw, it looked to be shaping up to be a great experience. 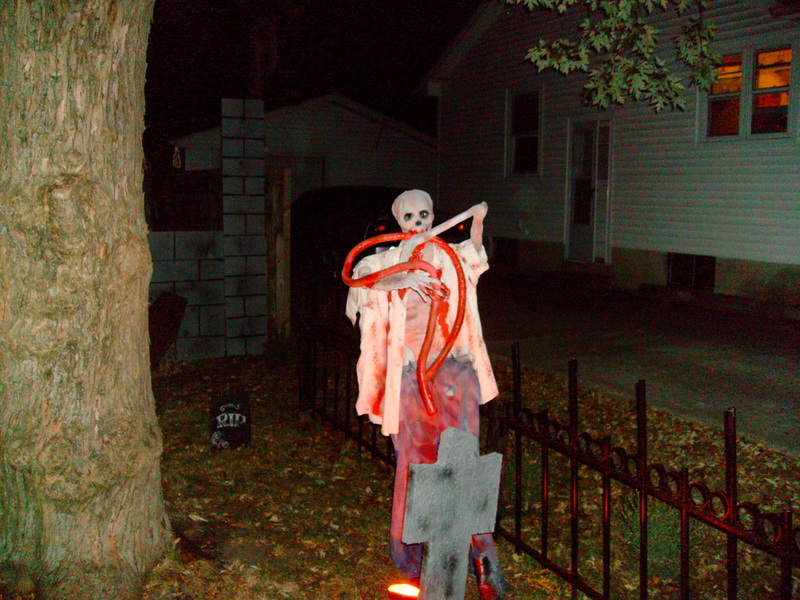 There aren't too many haunts located in this region, but if you are headed down towards central Illinois, this one is worth checking out, particularly if the home haunt portion is operating.